The Favorite: The Binghamton Bearcats are in a position they’ve never been in before. They enter the America East tournament as the hunted. America East Player of the Year D.J. Rivera leads a club that has won 10 out of its last 11 games. The Bearcats have gone on the road and won on the home courts of Big East and Conference USA schools. They’ve prepared for this time of year and look to be ready for any and all comers in Albany this weekend. The Challenger: The Catamounts of Vermont would be the kings in the America East if it weren’t for Binghamton. They’d be the No. 1 seed this weekend had the Bearcats not swept them. Despite that, this is a team with 23 wins and has been playing at a high level the entire year. They’ve won 14 of 15 and are on a serious roll entering the postseason. Although they face the unenviable task of having to face Albany on its home court in the quarterfinals, junior Marquis Blakely and the rest of the Catamounts will be a tough out. The Darkhorse: The UMBC Retrievers enter the postseason losing three of their last four. However, this team is confident and experienced. Seniors Darryl Proctor and Jay Greene played integral roles in UMBC’s run to last year’s NCAA tournament and are fully capable of putting three solid games together. The Retrievers are responsible for one of Binghampton’s conference losses. This is one scary No. 6 seed. When it’s all said and done, the cream will rise to the top in the America East. Vermont and Binghamton have been the teams to beat all season and nothing will change this weekend. The championship game will be in Binghamton, but Vermont will avenge the two earlier losses and return to the tournament for the first time since 2005. The Favorite: Two years ago, Eric Maynor put his name on the map with a game-winning shot against Duke. He’s still at Virginia Commonwealth and he’s one of the best guards in the country. The Rams always seem to be at the top of the CAA and this year was no different. They’ve had mixed results coming down the stretch with a 5-3 record in their last eight. However, the Rams have Eric Maynor and he makes them the most dangerous team in the CAA. 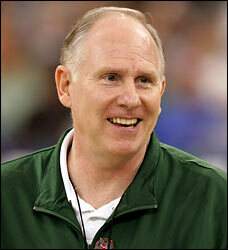 The Challenger: Jim Larranaga has his Patriots in this position again. George Mason has been lurking the entire season and are in their relished position of the being the hunter. The names have changed from their Final Four run three years ago, but this is still an experienced basketball team. Seniors Dre Smith and John Vaughn are still at Mason and they have seen everything. They’ll expect to be in the Big Dance and that’s not something many mid-majors share with them. The Darkhorse: Old Dominion quietly went about its business all year. Head coach Blaine Taylor’s Monarchs traditionally have talent, but seem to be overlooked in the CAA. After winning their last five, no one in the CAA is going to take them lightly. They’re as hot as any team in the conference and are the last team anyone wants to face in Richmond this weekend. The CAA Tournament is always a very competitive tournament and this year will be no different. There are six teams capable of cutting the nets down in Richmond and that makes for great basketball. Old Dominion will meet George Mason in a classic Monday night and the Patriots will take their rightful place back in the field of 65. The Favorite: The Siena Saints began the season with at-large aspirations after their impressive showing in last year’s tournament. They played a difficult non-conference schedule and got off to a slow start. Once conference play started, the Saints showed their mettle and rolled to a 16-2 conference record to save their at-large hopes. The experienced club led by senior Kenny Hasbrouck and junior Edwin Ubiles; Siena will be a tough out this weekend and, possibly, in two weeks as well. The Challenger: Niagara has been consistent all year long. The Purple Eagles hit the road in their non-conference schedule and are as prepared for this time of year as any team in the MAAC. First-team All-MAAC and the conference’s defensive player of the year, junior Tyrone Lewis controls this club which closed the season with victories over Siena and Missouri Valley contender, Illinois St. They are fully capable of keeping up with the Saints. The Darkhorse: The only MAAC team to defeat both Siena and Niagara was the Rider Broncs. They closed the season winning 7 of their last 9 and believe they can win the automatic bid. Junior Ryan Thompson is one of the most explosive players in the MAAC and will be able to get any shot he wants this weekend. The Broncs believe they should be mentioned with the Saints and Purple Eagles and are ready to prove why. The bracket sets up well for Siena, who should cruise into the finals. The other half of the bracket will be much more difficult with Niagara and Rider vying for the opportunity to face Siena. In the end, Niagara will navigate its way to the finals to set up one of the best championship games of any conference tournament. The homecourt advantage will not help the Saints this year though and Niagara will go dancing. The Favorite: Unless you’ve been living under a rock for the past three seasons, you know Stephen Curry is and you know who the Davidson Wildcats are. This edition of the Wildcats isn’t as potent as last year’s, but they are still dangerous. They’ve beaten West Virginia and NC State on neutral courts and have breezed through the SoCon regular season once again. While they actually lost a league game this year, something they hadn’t done in two seasons, the Wildcats are still the team to beat as long as Curry puts on a Davidson jersey. The Challenger: There’s only one team who can claim to beat Davidson at full strength during conference play and that’s the College of Charleston. Head Coach Bobby Cremins has turned around the program which was a perennial NCAA tournament team in the late 90’s. All-Conference guard Andrew Goudelock and the Cougars have wins over TCU and South Carolina so they’re a tested group. They’ve proven they can beat the Wildcats now it’s time to see if they can do it again. The Darkhorse: When the Citadel Bulldogs upset Davidson on February 18, the Wildcats were without Stephen Curry. That doesn’t matter to the Bulldogs though. They’re the playing their best basketball right now as winners of 12 of their last 13 and finished in a tie for second in the South Division. In a season where they’ve won 18 games against Division-I opponents and 15 conference games for the first time, is an initial trip to the NCAA tournament in the offering for the Bulldogs as well? The worst thing the College of Charleston and Citadel could’ve done was make Davidson see its own blood. Now the Wildcats have their antennas up and will be ready in Chattanooga this weekend. While it won’t be easy, Davidson will make four consecutive trips to the Big Dance. The Favorite: Anyone who finishes with an undefeated conference record is going to be the favorite and this situation is no different. Gonzaga is back in its usual spot with an NCAA tournament bid all but sewn up. This could be the most talented team in Bulldogs’ history with seniors Jeremy Pargo, Josh Heytvelt, and Micah Downs leading the way. Head Coach Mark Few always plays a tough non-conference schedule to prepare his team for this time of year. They fell victim to the upset in last year’s WCC tourney. They’ll be out to make sure that doesn’t happen again. The Challenger: The Saint Mary’s Gaels captured an at-large bid last season and may be in position to do the same this year. Sophomore Patrick Mills, possibly the best guard in the country, is back from injury and ready to pick up where he left off. When healthy, this Gaels team can play with anyone in the country. They’ve won five in-a-row including a huge win over Utah State in “Bracket Busters.” This is a confident team going in to Las Vegas this weekend. The Darkhorse: There was a buzz in the preseason that the San Diego Toreros may be able to capture an at-large bid after their upset of UConn in last year’s NCAA Tournament. The Toreros have struggled this season, but this is still a team that can jump up and bite you. Brandon Johnson is gone for the season, but any team with Gyno Pomare and Rob Jones is capable of doing damage. When all is said and done, this is a two-horse race. Gonzaga and Saint Mary’s are on a collision course and it’s going to be a special basketball game. The Gaels played one and half games against the Bulldogs without Patrick Mills and now that he’s back, they’re chomping at the bit. Saint Mary’s will take its NCAA Tournament fate out of the committee’s hands and win the WCC tournament.